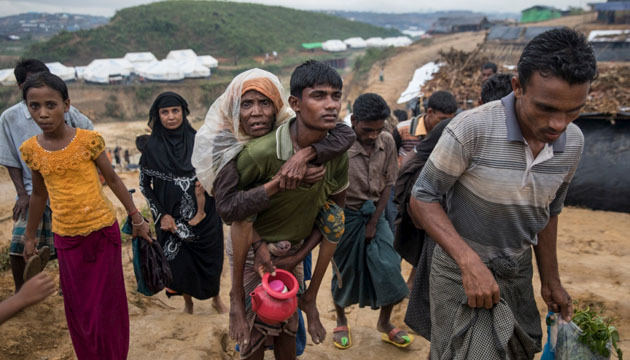 The UN Security Council delegation here on Monday assured all concerned of helping Bangladesh and Myanmar to expedite the implementation of the Rohingya reparation agreement signed between the two countries for safe return of Rohingyas. “The situation can’t remain without a solution. It’ll remain in our agenda as one of our priorities,” said Permanent Representative of the State of Kuwait to the United Nations Mansour Ayyad Al-Otaibi without generating any hope over quick solution. In a pre-departure crowded press conference at HazratShahjalal International Airport, Ambassador Mansour said there is no resistance from China and Russia in terms of finding a solution to Rohingya crisis. “I don’t see any resistance from China and Russia. They’re with us. They also want to see a solution,” he said adding that this is a humanitarian crisis and human rights issue. Responding to a question, he also said no one is protecting anyone (Myanmar) but they want to see the international obligation is implemented. “All parties should show commitments to solve the crisis as soon as possible. We can’t remain silent about this,” Ambassador Mansour said. Mansour said they should not raise the expectation about a quick solution but they want to help all the parties concerned to speed up the process on the implementation of the deal signed between the two countries. “We want to see a solution. But the solution can’t come very quickly. Hopefully, the deal will be implemented,” he added. He highly appreciated Bangladesh’s generosity saying the people of Bangladesh opened their doors and hearts for around millions of Rohingyas. Peru’s Ambassador to the UN and delegation leader Gustavo Adolfo Meza CuadraVelasqez said they are unified and mentioned that things are happening including appointment of special envoy on Myanmar by the UN Secretary General which will help find a solution. United Kingdom’s Permanent Representative to the United Nations Karen Pierce also spoke at the press conference. The delegation left for Myanmar capital shortly after the briefing where they will interact with Myanmar authorities and visit Rakhine State. The delegation will submit report once they go back to New York after wrapping the visit on May 2. 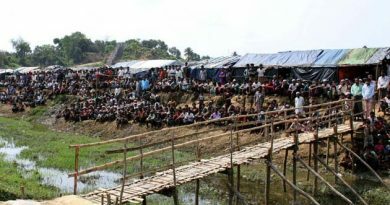 The high-profile delegation arrived here on Saturday and met Rohingyas on Sunday in Cox’s Bazar district. During the interaction with UNSC delegation members, Rohingyas in the camp conveyed their emotional pleas to the UN Security Council for their rights and safe return to their homes in Myanmar. They highly appreciated Bangladesh for its generosity saying Bangladesh opened its door and heart for the Rohingyas. 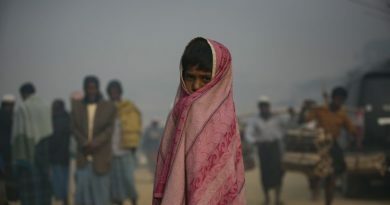 They also said the international community is standing beside Bangladesh over the Rohingya issue. ← US Secretary of State Mike Pompeo calls for unity in the Gulf region against Iran. 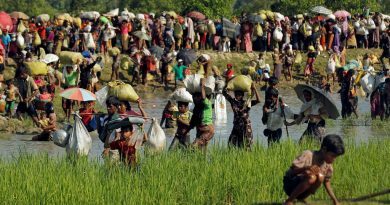 Rohingya repatriation will begin soon with sending the first batch of over 3,000 Rohingyas , said Bangladesh Foreign Minister.